A free service offering transport within Cospicua was used by elderly residents and the vulnerable 2,800 times last year, the Cospicua council said. The last quarter of 2018 was the most busy, with 400 people booking to use the service. The rise in clients prompted the council to extend the service to run daily instead of three times a week, mayor Alison Zerafa Civelli said. The idea of purchasing two vans for transport within the city came after a "substantial amount" of complaints from residents, Ms Zerafa Civelli said. Elderly people and those with vulnerabilities often found it difficult to run errands, go to the health centre or the post office, the mayor added. The service also helped decrease traffic and lower sound pollution levels, the council said. Some could not rely on family members to drive them around, Transport Minister Ian Borg added, noting Cospicua also had a lot of steps that meant arriving to the city centre could be an added challenge for residents. 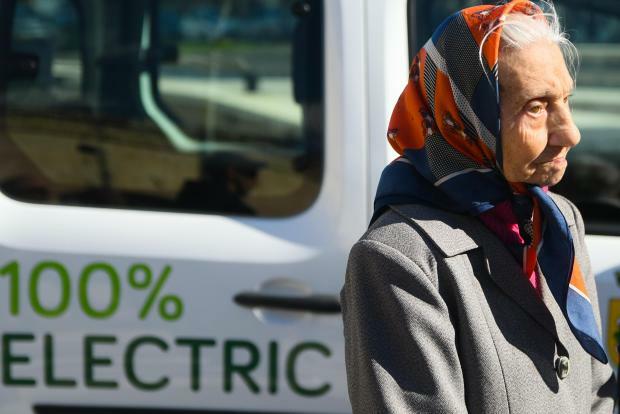 It cost €72,000 to purchase the two electric vans for the service, €60,000 of which were subsidised using the Transport Ministry's Sustainable Urban Mobility Plan. The council launched the inter-city transport programme as a pilot project in 2017. During the first three months, the service was used by 258 individuals. The service, which used to be offered three times a week, will now run daily between 7.45am and 1pm.